For those who are follower’s of Krishna Bhakti this the holiest of all holy places in all of the universe. Sri vrindavan dham it is my great owner and my great fortune that you are giving me this opportunity to serve you by speaking something on behalf of my guru maharaj during our time here .In the Sri Chaitanya Charitamrita there is a beautiful verse the ideal place for executing Krishna consciousness or pure Bhakti is Brajabhumi or vrindavan where all the people naturally love Krishna and Krishna naturally love’s all of them – Radhanath Swami. A place has its potency. Mundane example: the influence of the bombs that were dropped in Hiroshima and Nagasaki could be felt even several years later; the residual radioactivity caused thousands of cancer deaths. 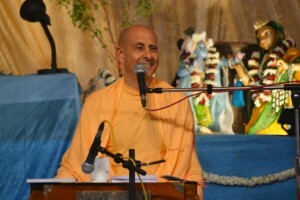 The Vedic scriptures describe that holy places have tremendous spiritual potency owing to the tons of spiritual activities that have been performed in those place, and we can access the benefit of all of that if only we are in the right frame of mind. 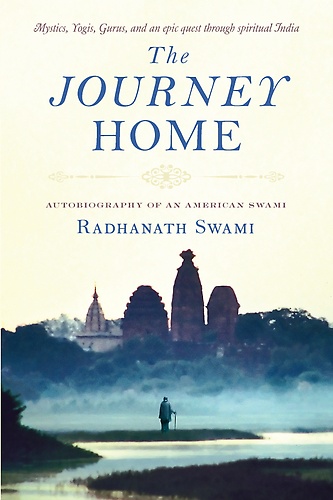 In the above audio clipping, Radhanath Swami speaks of a special place called Vrindavan, Lord Krishna’s own home. 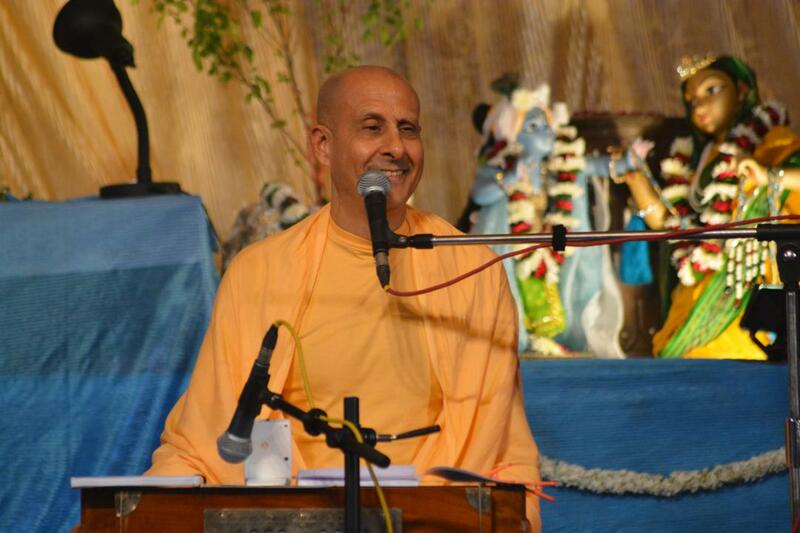 4 Responses to "Krishna Bhakti in Vrindavan"
Thank you very much HH Radhanath Swami Maharaj for sharing this. 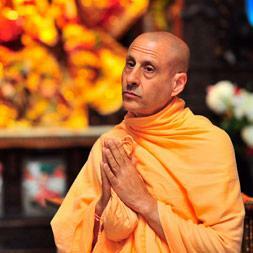 Thanks maharaj for giving us so much. we don’t deserve it, but out of your compassion, you are giving us so much of your love in form of your lectures and teachings. i derive a great inspiration from your lectures.